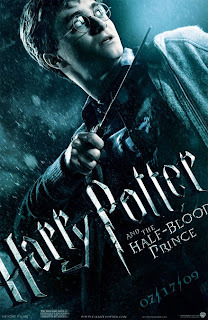 The much anticipated "Harry Potter and the Half-Blood Prince" movie will soon hit the cinemas this July 17th. 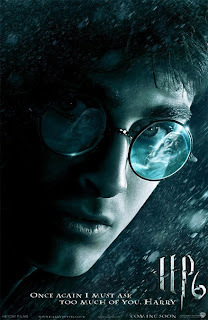 The said movie is the sixth film of the Harry Potter movie series. David Yates, the director of the "Order of the Phoenix" returned as director for this movie. Here is the plot of the movie according to Warner Bros., "Voldemort is tightening his grip on both the Muggle and wizarding worlds and Hogwarts is no longer the safe haven it once was. Harry suspects that dangers may even lie within the castle, but Dumbledore is more intent upon preparing him for the final battle that he knows is fast approaching. 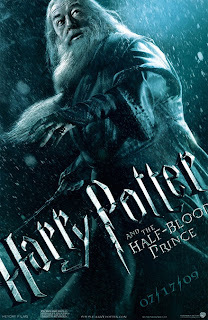 Together they work to find the key to unlock Voldemort’s defenses and, to this end, Dumbledore recruits his old friend and colleague, the well-connected and unsuspecting bon vivant Professor Horace Slughorn, whom he believes holds crucial information. Meanwhile, the students are under attack from a very different adversary as teenage hormones rage across the ramparts. Harry finds himself increasingly drawn to Ginny, and so is Dean Thomas. Lavender Brown has decided that Ron is the one for her, only she hasn’t counted on Romilda Vane’s chocolates. Then there’s Hermione, simpering with jealousy but determined not to show her feelings. As romance blossoms, one student remains aloof. He is determined to make his mark, albeit a dark one. Love is in the air, but tragedy lies ahead and Hogwarts may never be the same again." i cant wait to see this installment... i think amidst the current mantra on twilight, Harry Potter has already established a solid number of followers, some are even twilight fanatics themselves. Although the movie versions are all disappointments (in my opinion) compared to the books, I understand the difficulty and thus, I watch the movies all the time. How I just wish I can see it this time! The last movie I was able to see the climax in 3D screen and it was amazing! I feel like I was joining them fight...ssoooo thrilling!